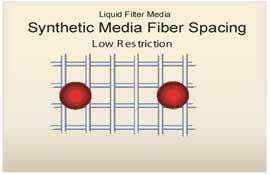 Made with premium-grade full synthetic media. 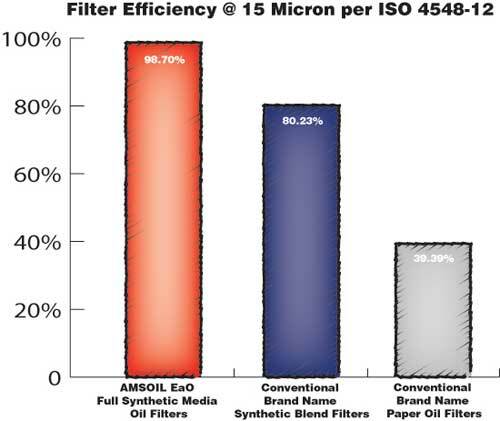 Amsoil Oil Filters feature advanced full synthetic nanofiber technology, making them the highest efficiency filters that are available for the auto/light truck market. AMSOIL EaO Filters are guaranteed for 25,000 miles or one year, whichever comes first, when used in conjunction with AMSOIL synthetic motor oil in normal service. In severe service, change oil and filter at recommended severe service oil drain interval..
Made with premium-grade full synthetic media. 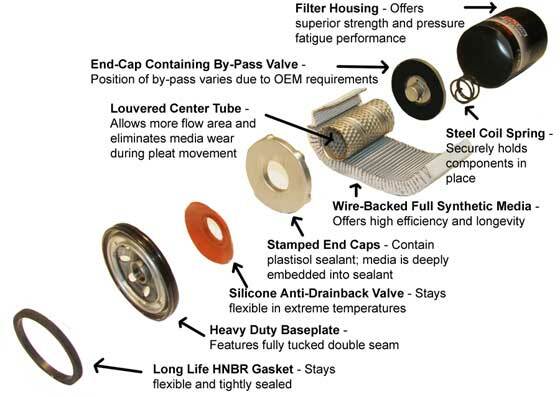 Oil Filters feature advanced full synthetic nanofiber technology, making them the highest efficiency filters that are available for the auto/light truck market. AMSOIL EaO Filters are guaranteed for 25,000 miles or one year, whichever comes first, when used in conjunction with AMSOIL synthetic motor oil in normal service. In severe service, change oil and filter at recommended severe service oil drain interval..
25,000 miles or one year, whichever comes first. 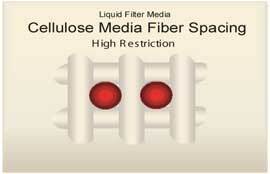 long-lasting premium-grade silicone anti-drain valve. AMSOIL Ea Oil Filters are guaranteed for 25,000 miles or one year, whichever comes first, when used in conjunction with AMSOIL Synthetic Motor Oil. 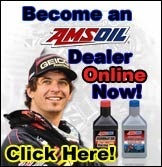 AMSOIL recommends changing the oil filter at the time of oil change. If used in conjunction with AMSOIL Motor Oil that is being changed at intervals less than 25,000 miles, the EaO Filter should be changed at the same time. 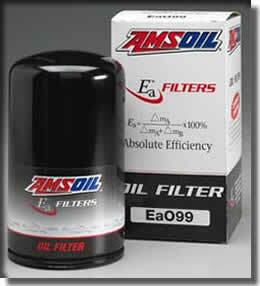 AMSOIL EaO Filters are not guaranteed for 25,000 miles when used with any oil other than AMSOIL Motor Oil and should be changed according to vehicle OEM recommendations.